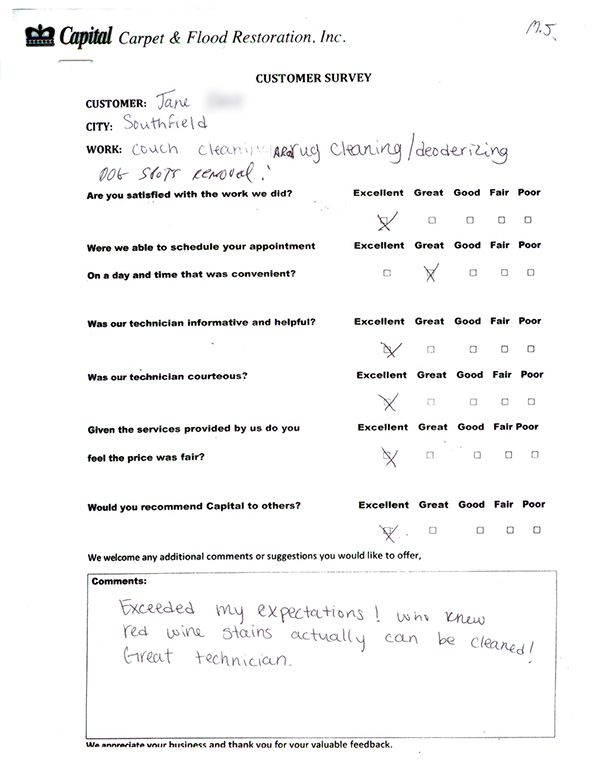 Customer Testimonial: "Exceeded my expectations! Who knew red wine stains actually can be cleaned! Great technician"